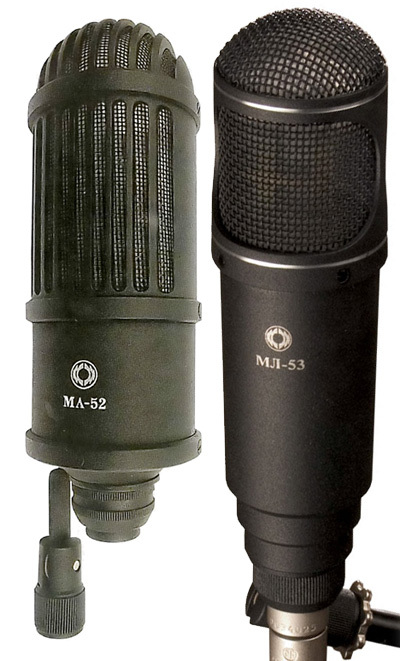 The ML-53 is a passive ribbon microphone with a dual-ribbon motor design. It is essentially identical to the ML-52 (aka ML-52-02), but with a redesigned and more-acoustically-transparent headbasket and grille shape. The vertical bars surrounding the grille on the ML-52 can cause reflections within the microphone’s headbasket. Further, this construction is susceptible to mechanical resonances and ringing. The ML-53 (like both models of the ML-52) utilizes a dual-ribbon motor, in which two corrugated strips of 2.5-micron aluminum are suspended side-by-side and wired into a single transformer-coupled output circuit. Factory-matched pairs, for Blumlein stereo recording, are also available. In September, 2009, Oktava retailer Oktava-Online began offering the ML-53-L, which swaps the stock transformer of ML-53 with a Lundahl LL2912 transformer. The Oktava ML-53 is also known as: ML53, ML-53-L.